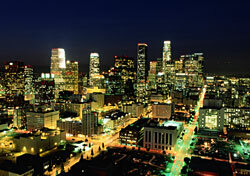 Enter the Hilton We’ll Take You There sweepstakes by December 9, 2013, for a chance to win the grand prize: a trip for two to Los Angeles, including round-trip airfare, hotel accommodations at the Beverly Hilton, and tickets to the GRAMMY awards and after party. To participate, “like” the Hilton Facebook page, follow the links to the sweepstakes page, provide the requested contact information, and press “submit.” Time required to enter: under 30 seconds. Sweepstakes is open to legal residents of the 50 United States, including the District of Columbia, and Canada, excluding Quebec, who are members of the Hilton HHonors program and at least 21 years of age at the time of entry. Approximate Retail Value (ARV) of the grand prize: $4,800.